Are you running late for Christmas this year? I certainly am. Woke-up this morning to the fact that I still have a zillion things to do. One of them being that I still haven't finished most of my Christmas cookies! With these holiday delights there should be no worries with getting something delicious and presentable on your table. 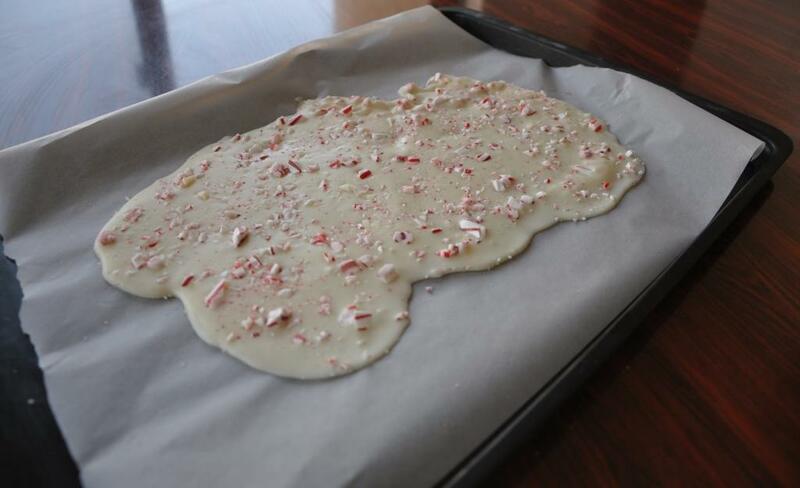 These peppermint barks are ready in 10 minutes from start to finish. Yes, 10 minutes!!! To top that they are certain crowd pleasers! Place the candy canes in a plastic bag. Wrap the bag with a cotton kitchen towel and crush the candy with a garlic or steak hammer. Break the chocolate block into smaller chunks. Place in glass dish and microwave for 1 minute 20 seconds. (if you don't have a microwave you can melt the chocolate on a double boiler but that will take some extra time). Remove the dish from the microwave (chocolate would be quite soft) add the butter and whisk (with hand whisker) for 1 minute until creamy. Mix in the very small pieces of the crushed mint candy. Spread the mixture into a thin layer on wax paper. Sprinkle the top with the larger pieces of the mint candy. Place in the freezer for 4 minutes. Break the chocolate sheet into small pieces and arrange in your dish. Hope you you enjoyed today's easy sweet recipe: Peppermint Bark. Bon appetite. Don't forget to check my Christmas Cake with a Middle Eastern Twist Recipe. Do you have any last minute Christmas savers? I would love to hear from you. 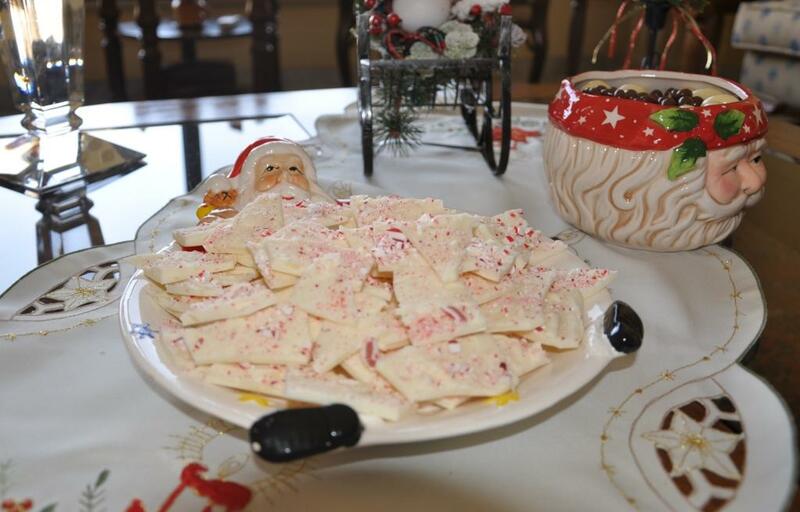 Such an easy and great idea...I will definitely try it this Christmas...do you have the Christmas butter cookies recipe with the colored frosting on top? Would you please teach us how to do it :) I am addicted to your blog..